A highly talented cast of internationally renowned underwater photographers and cameramen make up the bill for the sixth annual two-day conference, Visions in the Sea at Imperial College, South London on the weekend of November 16/17. 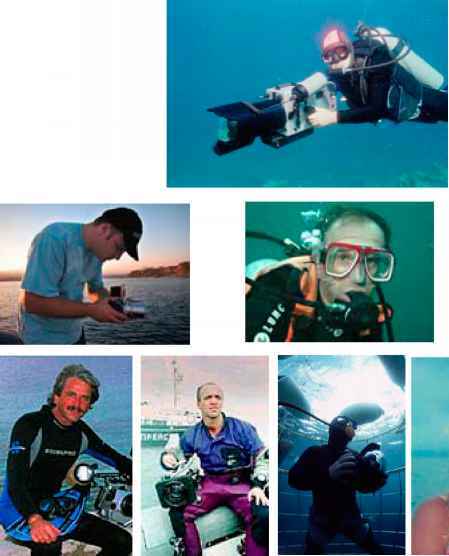 They and their fellow speakers will be sharing the secrets of their success with the delegates at this popular and established event staged annually by Ocean Optics, the specialist suppliers of underwater photographic equipment who are based in central London. Several of the speakers first trained as professional photographers and gained experience in the photographic industry before turning their full attention to underwater photography so they have special skills and knowledge to share. The speakers will be Kurt Amsler, Gavin Newman, Tony White, Alex Mustard, John Collins, Kevin Capon, Mark Walker and Georgette Douwma.In addition there will be short talks by Andrew Pugsley and hopefully Wild Insight. As well as the speakers, Paul Kay and Linda Dunk will be on hand to review your slides. The highlight of the weekend must be An evening with Peter Scoones followed by the chance to have dinner with the speakers.